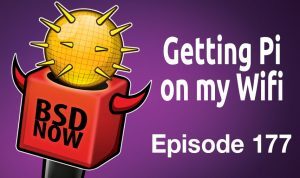 This week on BSDNow, we’ve got Wifi galore, a new iocage and some RPi3 news and guides to share. Stay tuned for your place to B…SD! We’ve hinted at the new things happening behind the scenes with iocage, and this last week the code has made its first public debut. So what’s changed you may ask. The biggest is that iocage has undergone a complete overhaul, moving from its original shell-base to python. The story behind that is that the author (Brandon) works at iXsystems, and the plan is to move away from the legacy warden-based jail management which was also shell-based. This new python re-write will allow it to integrate into FreeNAS (and other projects) better by exposing an API for all jail management tasks. Thats right, no more ugly CLI output parsing just to wrangle jail options either at creation or runtime. But what about users who just run iocage manually from the CLI? No worries, the new iocage is almost identical to the original CLI usage, making the switch over very simple. The new iocage is available now via ports and packages under sysutils/py-iocage, give it a spin and be sure to report issues back to the developer(s). Results are very unreliable, probably due to gpio decoding algorithm. Checksum is not validated, so sometime values are bogus. While his setup is done on HardendBSD, the same applies to a traditional FreeBSD setup as well. Now the tricky part is that some of the packages needed to be compiled from ports, which is somewhat time-consuming on a RPi. He strongly recommends not compiling on the sdcard (it sounds like personal experience has taught him well) and to use iscsi or some external USB drive. With the compiling done, our package / software setup is nearly complete. Next up is firewalling the box, which he helpfully provides a full PF config setup that we can copy-n-paste here. The last bits will be enabling the torrc configuration knobs, which if you follow his example again, will result in a tor public relay, and a local transparent proxy for you. Bonus! Shawn helpfully provides DHCPD configurations, and even Wireless AP configurations, if you want to setup your RPi3 to proxy for devices that connect to it. The very first one, is about a user changing root’s shell to /usr/local/bin/tcsh but forgetting to make it executable, resulting in not being able to login as root. I too have run into this issue, in a slightly different way. I had tcsh as my user shell (back before tcsh was in base), and after a major OS upgrade, but before I had a chance to recompile all of my ports. Now I couldn’t ssh in to the remote machine in order to recompile my shell. Now I always use a shell included in the base system, and test it before rebooting after an upgrade. Where is a ZFS snapshot when you need it? 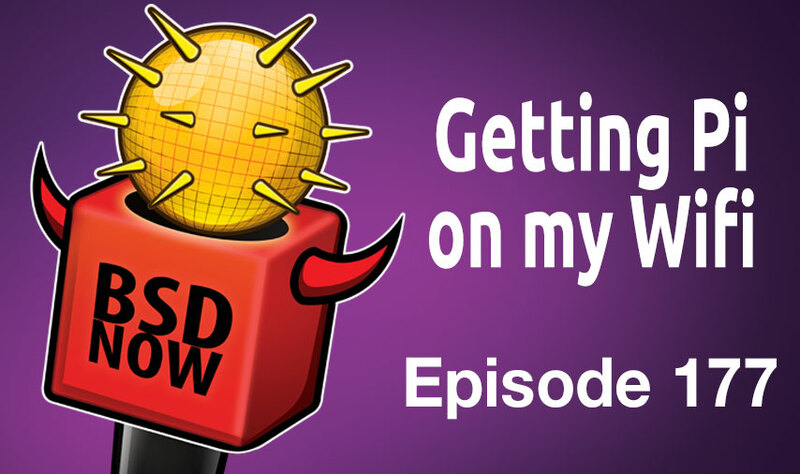 We know there’s a lot of FreeNAS users who listen to BSDNow, so I felt it was important to share this little tidbit. I’ve posted something to the forums last night which includes links to brand-new spins of FreeNAS 9.10 based upon FreeBSD 11/stable and 12/current. These builds are updated nightly via our Jenkins infrastructure and hopefully will provide a new playground for technical folks and developers to experiment with FreeBSD features in their FreeNAS environment, long before they make it into a -STABLE release. If you do run these builds, of course feedback is welcome via the usual channels, such as the bug tracker. The hope is that by testing FreeBSD code earlier, we can vet and determine what is safe / ready to go into mainline FreeNAS sooner rather than later.